The release of the recent Mad Max movie pumped new life into the franchise, leading to the release of the Mad Max video game. This is something that has been done a lot of times over the years with popular movies and television show. Most of the time, the games that are based on a movie or television show usually disappoint, because the creators are just trying to make some money due to the popularity of the movie or show. When it comes to the Mad Max video game, I have to say that I was pleasantly surprised. As expected, the game takes place in a post-apocalyptic world, and you get to play as Max, who is a reluctant hero. The game starts with Max nearly dying at the hands of Scabrous Scrotus, the warlord of a refinery-city Gas Town. Chumbucket, a deformed, sun-soaked blackfinger, sees Max as a prophet that was sent to help build the Magnum Opus, which is supposed to be the greatest vehicle in the wasteland. Max goes on a journey to build the Magnum Opus and dominate the wasteland. Now, when it comes to the gameplay, Mad Max is similar to other games of the genre, you encounter a lot of interesting characters along the way, some of them can help you in your search for parts for the Magnus Opus, while others will try to kill you. To make your legend grow, you have to complete a list of challenges which will increase your attributes. You also have to collect scrap, which is used as currency in the wasteland, to get better armor, weapons, and even your attire. You can also trade the scrap you collect for parts and accessories that you need for the Magnus Opus. In your quest to dominate the wasteland, you will battle some warlords. You get to kill their goons, burn down refineries as well as fuel depots. All of these things are a lot of fun to do, and you will get a kick out of it. After a while, the repetitive nature of the tasks will make it lose some of its appeal. There is a lot of great combat action in this game, you can engage enemies with your fists or use weapons, you can also engage in vehicle combat, which is actually a lot of fun, because you can pull of an enemy’s vehicle armor, or even pull the driver out of his car with your harpoon. Even after finishing the storyline, there are still a lot of things you can do in the game, which provides you with more hours of fun. 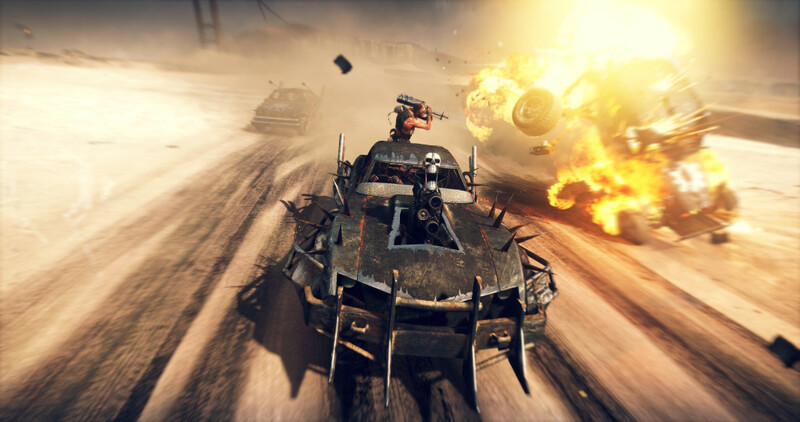 If you enjoy games like Grand Theft Auto, you will love Mad Max. It is a very thrilling game that provides you with hours of entertainment, which makes it very hard to put down.